As Australian Shepherd puppies grow older, it isn’t uncommon for them to change color as they age! Similar to how some human babies can be born blonde and grow to have brown hair; Aussie pups can sometimes change their colors with age. 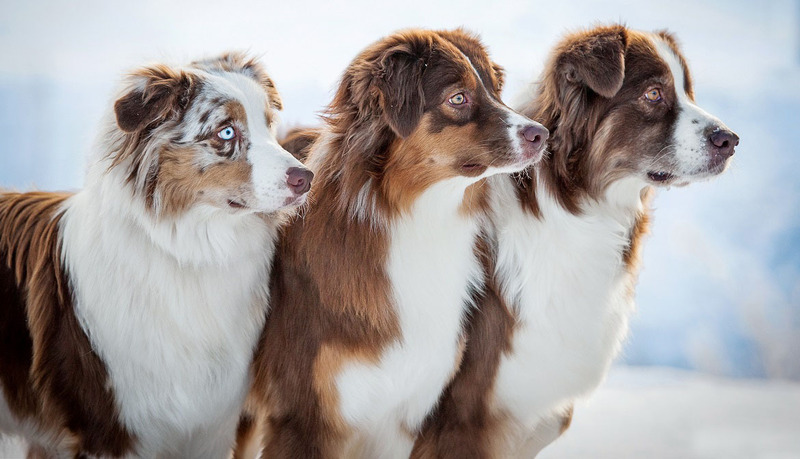 There are 4 standard colors and 3 standard markings on Australian Shepherds, according to the AKC. Those colors are black, blue merle, red, and red merle, with blue merle being the most common. In addition to these colors, there are the standard markings of tan points, white markings, and tan points with white markings. And don’t forget, these colors are just the standards. There are other color combinations that aren’t even officially recognized by the AKC! This rainbow of color makes for a wide variety of beautiful dogs. In addition to the many color variations of an Australian Shepherd’s coat, their eyes come in a fantastic array of hues as well. The Australian Shepherd Health and Genetic Institute identifies several different variations in color, including blues, browns, and even marbled eyes! In fact, it’s not uncommon to see an Aussie with two different colored eyes. With so many variations in the genetics of Australian Shepherds, it can be quite daunting when trying to determine what the puppies will look like. Imagine the surprise when an owner’s dog changes its color tones! Though their name may tell you otherwise, the Australian Shepherd is a breed that is about as American as it comes. These dogs got their start in one of the most quintessentially American time periods: the Wild West. The earliest Australian Shepherds trace their ancestry to the western part of the United States, in the 1800s and 1900s. It was there that shepherds and ranchers were using “little blue dogs with bob tails” to herd their sheep and other livestock. These livestock were being imported from many other countries, including Australia. Hence the name! 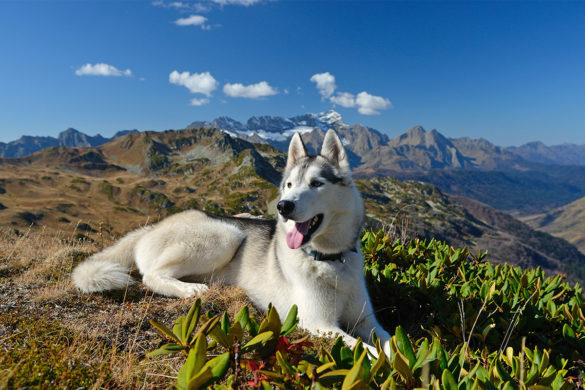 “The Aussie’s popularity boomed with Western culture and horse-riding after WWII, and was often featured in rodeos, horse shows, movies, and TV.” With these distinctions, the “Australian” Shepherd is indeed an American breed. But They Have Only Been An AKC Breed for 25 Years! It may seem incredible, but even though the Australian Shepherd can trace its roots back to the 1800s, they have only been an officially recognized AKC breed since 1991. This is not unusual since the Australian Shepherd has been a working breed for so long. 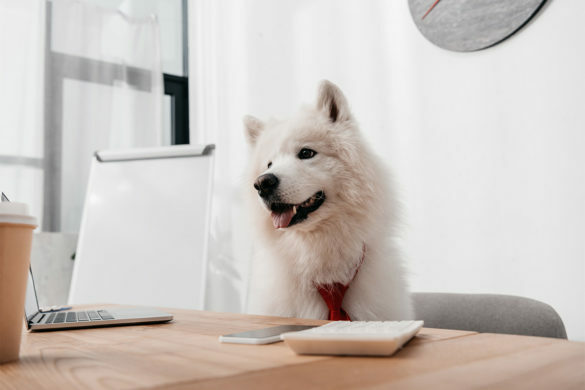 When dogs are bred to work, factors such as lineage, coloring, specific body shape, and other AKC standards are not taken into consideration. When breeding a good working dog, ranchers would take into account personality, trainability, and work ethic before appearance and bloodlines. Because of this, it could be difficult for the AKC to pin down exactly what the standard for an Australian Shepherd should be. And even now there is still so much variety! As we mentioned before, Aussies come in a wide range of colors. So with so much variety, it’s no wonder it took so long! Though Australian Shepherds are known for being devoted and wonderful family pets, they are often shy around people they first meet. Though friendly, they tend to be cautious when they interact with a new person. 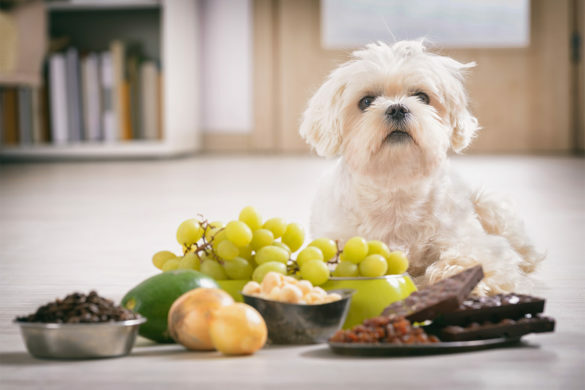 This isn’t necessarily a detriment, but there are steps a responsible Aussie owner should take to ensure their pup grows to be well-socialized. The ASCA cautions that a poorly socialized Aussie can become overly protective of the family they care about. While a guard dog may be beneficial in some situations, in others it can be downright harmful. It is important to have your dog meet many new people. Introduce them with patience and enthusiasm. But don’t force anything. Calmly show your dog they do not need to fear strangers. To ensure that your Aussie is well socialized, be certain to begin training from day one. Your Australian Shepherd is alert and smart and will respond well to stimulation and direction. A solid training foundation will remind your Aussie that they are safe with you, their master. And though they may be a bit shy around strangers, they will have nothing to fear knowing you are in control. You Can Exercise You Aussie With Herding – On Someone Else’s Farm! The Australian Shepherd has deep roots in the cattle herding history of the United States. And though that was several hundred years ago, their herding instinct has not gone away. Many Aussie owners state that their pup will attempt to herd birds, house cats, and even the household children! But there is a solution that benefits both of you. Some farms and ranches such as Fido’s Farm provide an opportunity for dogs with a strong herding instinct to play and burn energy in the best way they know how – herding! Many city dwellers who own Australian Shepherds and other herding dogs are paying farmers to give their pet dog an opportunity to herd sheep and other livestock. Australian Shepherds do well when they have a job to do, so providing that outlet for an Aussie can be extremely beneficial. If their intelligence is left unchecked, the Australian Shepherd can certainly out-think their owners. This can be frustrating for a first time Aussie owner, so it is important to begin training early. Tapping into their natural herding instinct can be a great way to let your Aussie constructively use their talents and energy. Many farms offer a full day experience herding sheep as an alternative to daycare. They also feature herding classes if you and your Australian Shepherd are interested in getting serious. With their high level of intelligence, herding isn’t the only thing they can be great at. Many Australian shepherds are fantastic at a variety of agility courses and stunts. Some even compete! At this year’s Westminster Dog Show, an Australian shepherd took home first prize for agility. With their intense focus and devotion to their handler, Aussie’s truly excel at agility trials. At ASCA official competitions, there are six required obstacles on every course. 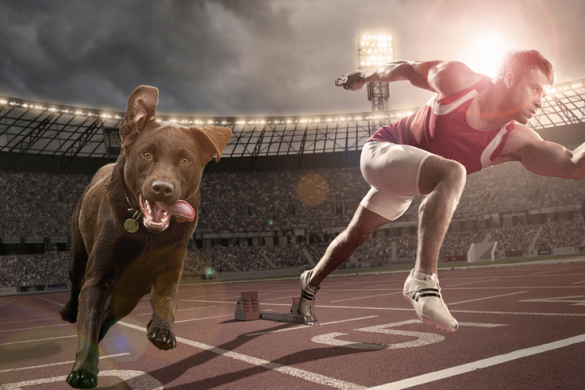 Competing dogs should be able to conquer an a-frame ramp, a teeter-totter, a dog walk, weave poles, an open tunnel, and a minimum of 16 jumps. Luckily for anyone interested in competing, there are different tiers of experience you can compete in: Junior Handlers, Standard Handlers, and Veterans. The ASCA even welcomes other dog breeds to their competitions! 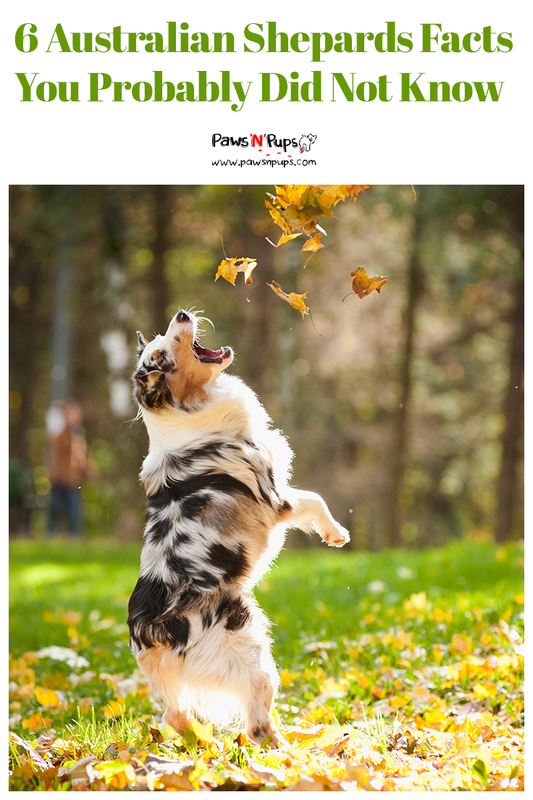 Australian Shepherds are a fun, high energy breed that is great for anyone with an active lifestyle and devotion to training. Tell us about an Australian Shepherd you know!